Mining is the process of removing coal from the ground. 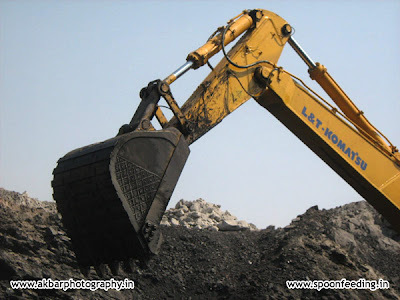 There are two types of mining: underground mining and surface mining. 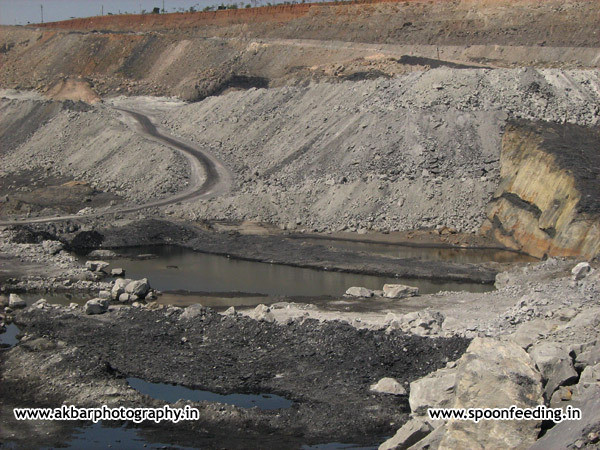 When the coal seam is fewer than 125 feet under the surface, it is mined by surface mining. Coal that is deeper than 125 feet is removed from the ground by underground mining. Holes are drilled into the rock and explosives are placed in these holes. The explosion breaks up the dirt and rock called overburden. Large earth-moving machines move the overburden to expose the coal seam. 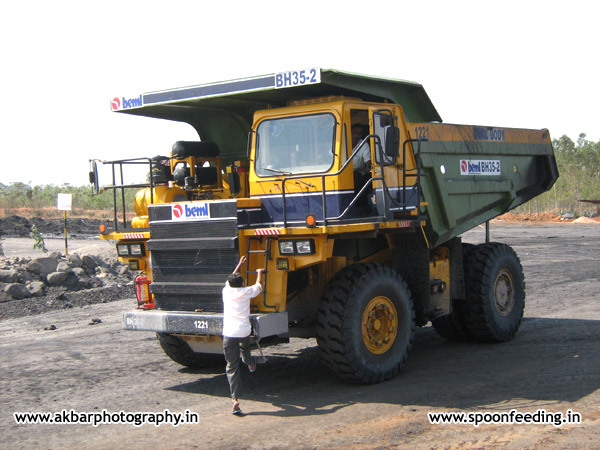 When the coal is uncovered, bulldozers and shovels scoop up the coal and load it into large trucks. All of the coal is mined. In 2000, there were six surface mines in Illinois. The surface mines produced 3,800,000 tons of coal and employed 330 miners. After mining the topsoil is replaced for plants and wildlife to grow again. 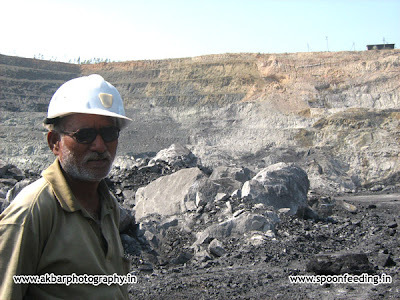 Underground mining is used when the coal seam lies deep in the earth. In an underground mine only some of the coal is removed. The coal that remains helps support the mine roof. Underground mines look like a system of tunnels. The tunnels are used for traveling throughout the mine, moving coal from place to place and allowing air to circulate in the mine. 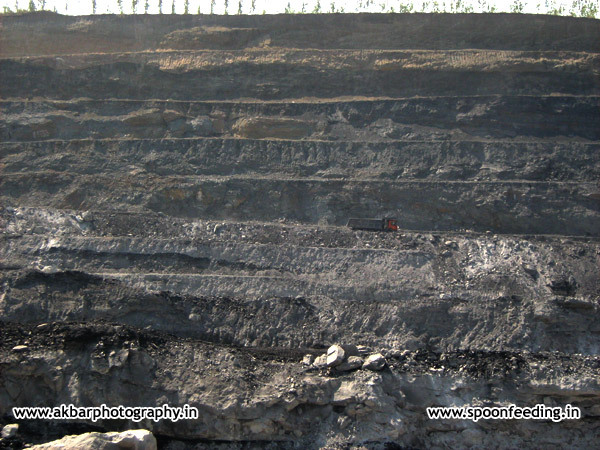 The coal that is mined is put on conveyor belts. 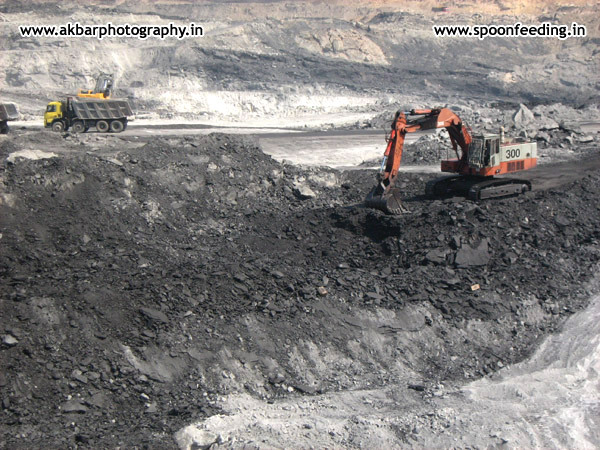 The conveyor belts take the coal to the surface. There are three types of underground mines: slope, drift, and shaft. When the coal seam is close to the surface but too deep to use surface mining, a slope mine can be built. In a slope mine a tunnel slants down from the surface to the coal seam. A drift mine is built when the coal seam lies in the side of a hill or mountain. Drift mines may also be built in a surface mine that has become too deep. There are many drift mines in the eastern United States. The most common type of mine in Illinois is the shaft mine. These mines may be 125 to 1,000 feet deep. 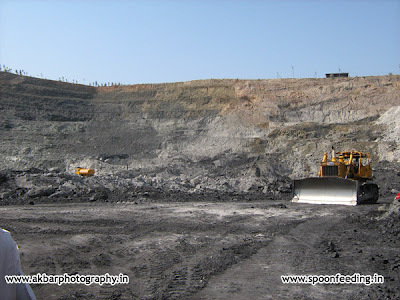 A large hole, or shaft, is drilled down into the ground until it reaches the coal seam. In Illinois, two types of underground mining are used: room and pillar mining and long-wall mining. Room and pillar mining leaves pillars, or blocks, of coal in the mine to support the roof. In long-wall mining the roof is allowed to collapse in a planned sequence. More coal is mined during long-wall mining. 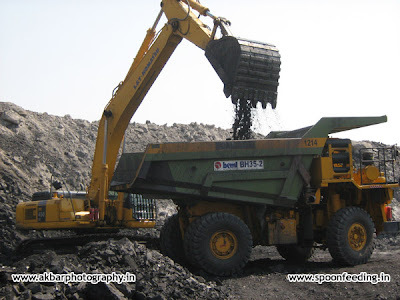 Continuous miner machines are used to cut the coal in room and pillar mining. Continuous miners have a large rotating drum that moves up and down. Strong bits on the drum cut the coal. As the coal falls, large arms under the drum gather the coal onto a conveyor chain. The conveyor chain carries the coal to the back of the machine. The coal is unloaded at the back of the machine onto ram cars. The ram cars haul the coal to a conveyor belt. Long-wall mining removes more coal than room and pillar mining. 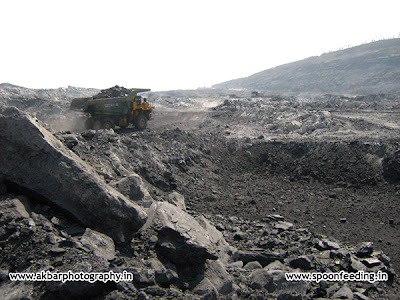 Large panels of coal are extracted. The panels are 750 to 1,000 feet wide. The continuous miner cuts tunnels 18 to 20 feet wide. The long-wall machine has large shields that support the roof and protect the miners during mining. A rotating drum, called a shearer, cuts the coal. The coal drops onto a conveyor belt. As more of the coal is cut, the machine moves forward. The roof behind the machine falls in a planned order. In 2000, there were 12 underground mines in Illinois. The 3,131 employed miners produced 29,700,000 tons of coal.